Axial latest scale shock release is fully licensed by Icon Vehicle Dynamics. 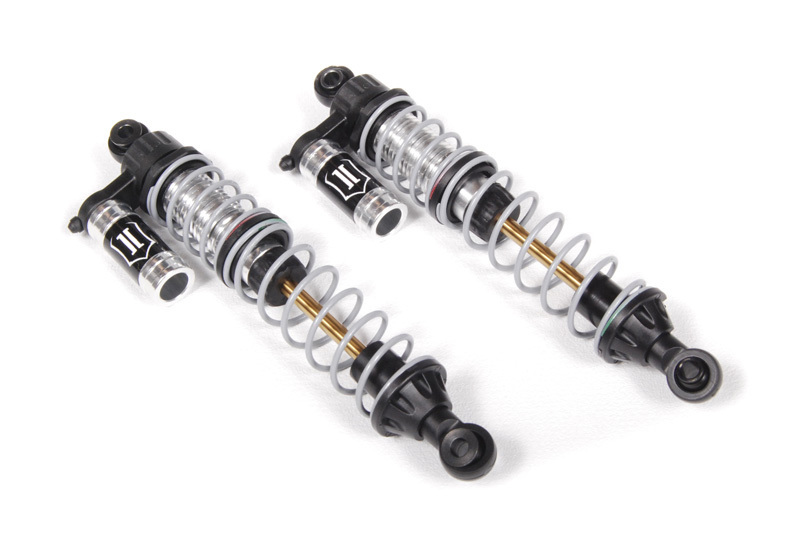 These shocks feature a new and improved CNC machined shock piston for smoother action through the range of travel. The new Icon shocks also feature clear coated polished aluminum bodies, complete with aluminum faux reservoirs. The main body of the shock is threaded for quick ride height adjustments and pre-load tuning ability. Like their full size counterparts these shocks are completely rebuildable, tunable and offer consistent handling all while adding some of that Icon bling to your SCX10 chassis.